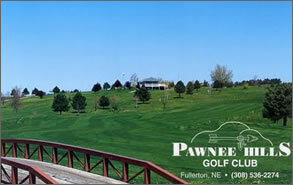 Pawnee Hills Golf Course, just off of Highway 22 a few miles northeast of Fullerton, is a 9-hole regulation length course. It is a public, golf-only facility with a 15-tee driving range. It has a 34.8 rating with 36 par, 3,210 yards, and a 109 slope. On the Pawnee Hills website, you’ll find the course layout, a calendar of events, and information on pricing and membership. One of the main attractions in Genoa is the United States Indian School. Between 1884 and 1934, the Genoa Indian Industrial School educated and taught trades to children of Native American descent. 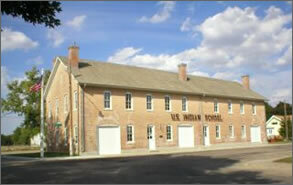 Today, the Indian School Museum is housed in the school building. Visitors can tour the school grounds and see murals painted by Indian children. Included in this museum is a pictorial exhibit depicting life on the campus of the Genoa Indian School. In 1990, the Genoa U.S. Indian School Foundation was founded to support additions to the buildings, organize Indian School reunions, and to preserve the heritage of this national historical site. The Genoa Historical Museum is located on Main Street and houses the Allen B. Atkins Pawnee Indian Artifact Collection. Artifacts in this collection were found within a five mile radius of Genoa. Other features include collections of the Mormons and an exhibit of Genoa history. Providing the public with recreational opportunities is part of Loup Power District’s mission. Loup’s diversion dam, the Headworks, is located six miles west of Genoa on Nebraska Highway 22. It features a 10-acre recreation area with picnic areas, shelter, grills, restrooms, and 20- and 30-amp outlets. The sandy beach is a popular spot for swimmers, and fishing there is very good. 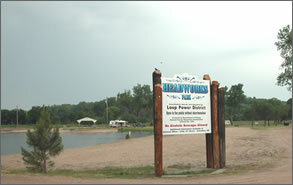 Weir Park, also at the Headworks (above), is a favorite for ATV and dirt bike riders. 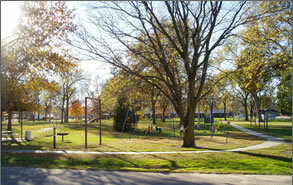 Weir Park features restrooms, grills, 20-amp outlets, area lights, and several water hydrants. 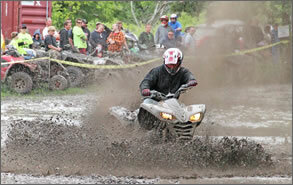 ATV and dirt bike parking areas are designated. Nebraska Off Highway Vehicle Association (NOHVA) Jamborees are held at this location during the spring and fall of each year, drawing thousands of ATV enthusiasts and spectators. 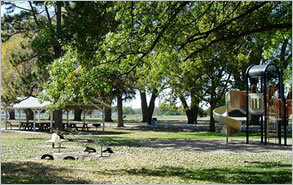 The Fullerton City Park covers 2 1/2 acres and contains restrooms, a sand volleyball court, a picnic area, and grills. A walking path surrounds the park, which has newly installed playground equipment. It is also the site of the annual Twin River Cruisers Car Show in June. Area recreational activities/facilities include boating, fishing, golfing, hunting, swimming, tennis, baseball, volleyball, and skateboarding. The Genoa City Park covers 32 acres and has picnic shelters with barbecue grills, camping facilities with electrical hookups, playground equipment, a brand new, heated swimming pool, two lighted ball diamonds, two sand volleyball courts, and restrooms. Two unsupervised playgrounds have swings, a merry-go-round, teetor-totters, slides, and much more. Recreation programs for youth include summer swimming lessons and youth ball programs. The Nance County Historical Society was established in 1973 when the Evangelical United Brethren Church, located in downtown Fullerton, closed its doors. The EUB Church was given to the City of Fullerton, and it was re-purposed as the Fullerton Museum. 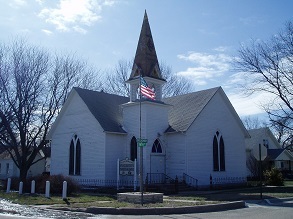 On September 4, 2013, the EUB Church was officially listed on the National Register of Historic Places, and was subsequently added to Nebraska’s National Register. 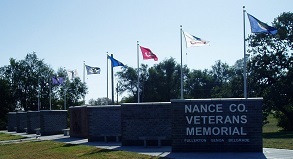 The Nance County Veterans Memorial, located at the county seat of Fullerton, Nebraska, was dedicated in 2008 after two years of development. The Military Resource Center was dedicated in 2012 at the same site. The mission of the organization is to collect, preserve, and display military memorabilia and provide the public with an educational resource. 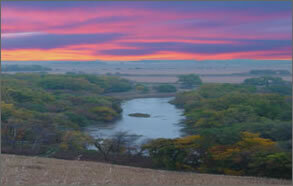 There are many sites in Nance County that are listed on the Nebraska National Register.